Fix Virtual Host Not Working on Cloud Server Running Ubuntu and Apache2 Web Server with only few easy steps. If you follow our guide to Install WordPress or any Web Software on Ubuntu on Rackspace Cloud or Digital Ocean and try to modify the default one server one domain settings – which is actually enabling virtual hosts; you might end up serving wrong directory content for particular named website. This basically happens due to a very small mistake. Virtual Host Not Working on Cloud Server Running Ubuntu : Why You Did? These are correct steps. However, if you want to add 3 or more websites, usually the problem starts. 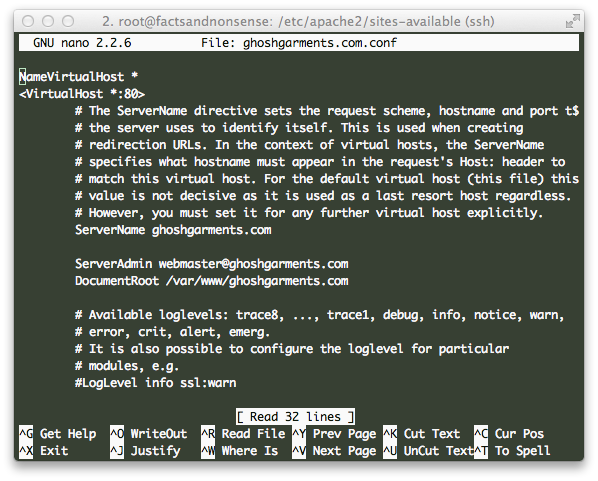 This is kind of quick fix for Name Based Virtual Host on Debian system. Obviously you must check the basic points like the directory path, file permission, any .htaccess based rules (if old website is imported) etc. Cite this article as: Abhishek Ghosh, "Fix Virtual Host Not Working on Cloud Server Running Ubuntu," in The Customize Windows, May 24, 2014, April 19, 2019, https://thecustomizewindows.com/2014/05/fix-virtual-host-working-cloud-server-running-ubuntu/.